Look at the hardiness map for Minnesota and you will see that the whole state is in zone 4 or colder. 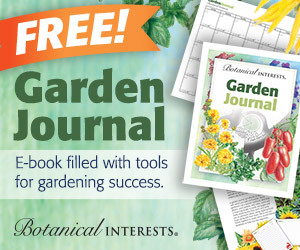 The Minnesota State Horticultural Society, which publishes Northern Gardener Magazine, is devoted to helping northern gardeners. If you join the society, besides the magazine you will get borrowing privileges at the society’s library (they mail you the books! ), as well as other benefits that would mostly appeal to local members. Or, you can subscribe to the magazine alone. This month’s issue featured an article on hardy magnolias, as well as a northern native (bloodroot in this issue), an article on hardier cultivars of less-hardy trees, a tutorial on plant shopping, and a scolding from Don Engebretson, the Renegade Gardener. Other northern writers I recognized were Terry Yockey of Northern Gardening and Stefan Feduik and Jim Kohut of Northscaping. Even a non-Minnesotan gardener in a cold climate will find plenty to like. I must confess, however, that I wouldn’t be perusing the current issue if Tracy hadn’t alerted me to the fact that this website was reviewed in it quite favorably. I was never contacted by the magazine and wouldn’t have known if she hadn’t spoken up. (Thanks, Tracy! I owe you one.) You can’t read the review on their website, but the editor kindly allowed me to reprint it here. Damn, I love that man. I wish I knew of his counterpart for desert gardening! I could use that kind of expertise in Arizona. Tracy, I am glad to hear from a long-time subscriber. I have waffled over subscribing for a couple of years now myself, and I think you’ve convinced me. I would say that anyone who lives in Zone 5 or colder would benefit from a Northern Gardener subscription. As a 8+ year subscriber, I can definitely recommend the magazine. 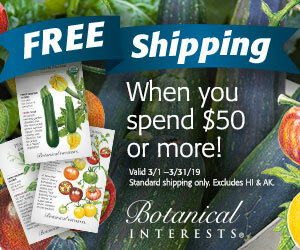 There are articles about specific plants, vegetables, how-to information, and more. Although there are usually an article or two about local gardens and/or gardeners, I learn just as much from those as I do from similar pieces in the national magazines. Thanks for this post, I had never heard of this magazine, but it looks very informative (I’m in z4 in NE Wisconsin).